At the Law Office of Blair M. Johnson, we have over 31 years of experience handling a wide variety of real estate-related issues for clients throughout communities in West Orange County and East Lake County. Included in our real estate practice is the representation of clients in foreclosures, short sales and other similar cases. These can be highly stressful and complex issues. We strive to help clients understand their rights and deal with the situation as effectively as possible. 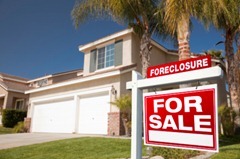 If you are facing foreclosure and need help to save your home, turn to our firm. Contact us to further discuss your options for preventing or stopping foreclosure. I bought my property at the top of the real estate boom; today it is worth less than I still owe. What should I do? There are many potential options for how to handle this difficult situation. Alternatives include loan modification, short sales, deeds in lieu of foreclosure, bankruptcy, foreclosure and even leasing the property out. This question is too complicated to try to answer in a short paragraph. Depending on whether the property is the person’s primary residence or an investment property could result in serious tax consequences wherein the owner could face paying substantial taxes if the property is sold. Also, if the property owner has savings, other investments with equity, or the means to make payments on the property, the advice might change. These financial issues affect the legal options available since the wrong decision could result in the loss of those assets (or at least in them losing value). The best advice anyone can give you is to schedule an appointment with an attorney to discuss your situation before taking any action. 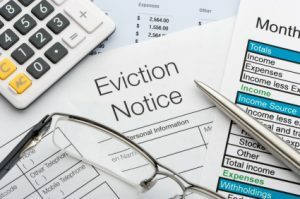 A foreclosure may happen when a homeowner has fallen behind on his or her loan payments and the lender terminates the borrower’s rights to the property. The lender then has the legal right to take over the home, leaving the borrower in a difficult situation. The homeowner then has to deal with the emotions of losing their home, the financial ramifications of a foreclosure and having to find somewhere else to live, all in a short period of time. We strive to help clients deal with foreclosures and work to prevent them if at all possible. A “short sale” is a sale of real property in which the proceeds from the sale are expected to be less than the balance of an underlying loan secured by the property. Essentially, the proceeds of the sale are “short,” thus giving the name “short sale.” When negotiating a short sale, the lender agrees to discount the balance of a loan due to the financial hardship of the borrower. The proceeds from the sale are then given to the lender in order to satisfy the loan balance. Our firm can help clients understand how a short sale may be beneficial to the homeowner instead of going forward with the foreclosure process. The information you obtain at this site is not, nor is it intended to be, legal advice. You should consult an attorney for individual advice regarding your own situation. Copyright 2016 by Blair M. Johnson. All rights reserved. You may reproduce materials available at this site for your own personal use and for non-commercial distribution. All copies must include this copyright statement.